If you happen to follow writer-director Christopher McQuarrie on Instagram, over the past few weeks you’ve likely been treated to a steady stream of character portraits featuring many of the cast members on board for Mission: Impossible 6. Not only that, but he’s also been sharing a good deal of set photos giving us a look at what’s going on behind the scenes of the upcoming blockbuster. Filming on Paramount’s globe-trotting adventure continues apace today, and though it’s still a bit too soon to expect any form of official trailer, a great new photo has arrived online via the Twitter account of none other than Tom Cruise. 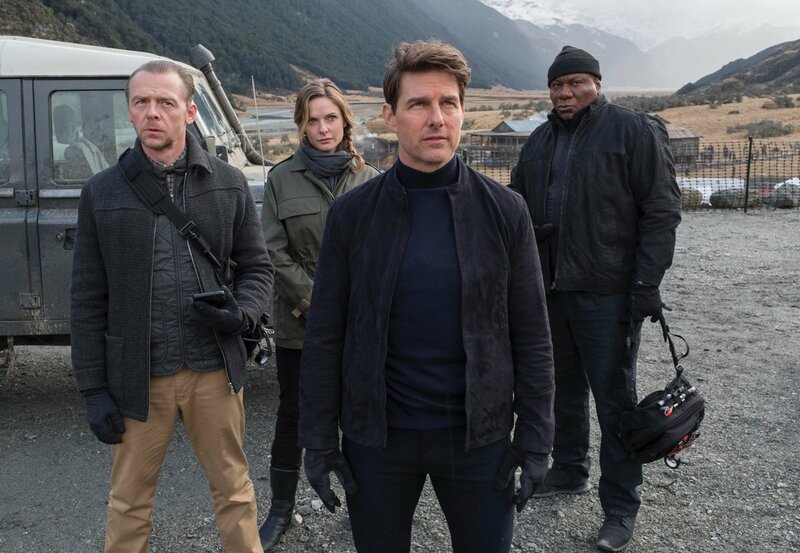 With the production now wrapping up in New Zealand and moving to London, the actor posted a shot of the IMF – Impossible Missions Force – assembled and ready for action. That includes Ethan Hunt (Tom Cruise), Ilsa Faust (Rebecca Ferguson), Luther Stickell (Ving Rhames), and Benji Dunn (Simon Pegg). It doesn’t tell us anything about the film’s plot, but it’s a cool shot of the key players and may just signal that the first teaser could be on the way. What’s more is that we’ve heard in recent weeks that in true Mission: Impossible fashion, the as-yet-untitled sixth installment in the long-running series will have Cruise execute a suitably jaw-dropping stunt. He’s scaled the Burj Khalifa and clung on to an airborne military plane, but what’s next? Whatever it may be, the Hollywood veteran has spent the past year training for M:I 6. Co-starring Rebecca Ferguson, Vanessa Kirby, Simon Pegg, Sean Harris, Alec Baldwin and not Jeremy Renner, Mission: Impossible 6 is expected to storm into theatres on July 27th, 2018.